Merion Village Dental can complete your onlay restorations in a single appointment! 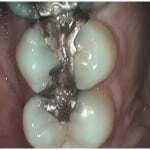 Dental onlays are unique restorations that restore large portions of an affected tooth, in a less invasive fashion than a traditional crown. With CEREC technology, Merion Village Dental is able to take a virtual impression of the prepared tooth, and create the porcelain restoration right here in our office on the very same day. Every CEREC restoration is custom-milled using our on-site 3D technology and CEREC lab machine. The final onlay allows the tooth to function completely normal, as if the tooth had never been damaged! Onlays are a great alternative treatment to crowns, as well as a great solution for teeth with cavities too large to fill. At your visit, we’ll numb the area that is to be treated, so that you won’t experience any discomfort. After removing any damaged or decayed tooth enamel, we will take a 3D virtual impression of the tooth. This image is electronically sent into our CEREC machine, which will then create a custom-shaded and shaped onlay to fit and match your tooth so that it blends right in with your smile. Once the milling is complete, we will permanently bond the onlay into place and you’ll be on your way! A CEREC onlay will restore your natural smile, saving you multiple treatment times and maximize the amount of healthy enamel within your affected tooth. 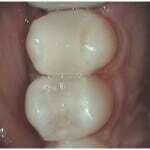 Do you think that a CEREC crown is a right fit for you? Chat with a friendly member of our team now to schedule your appointment!